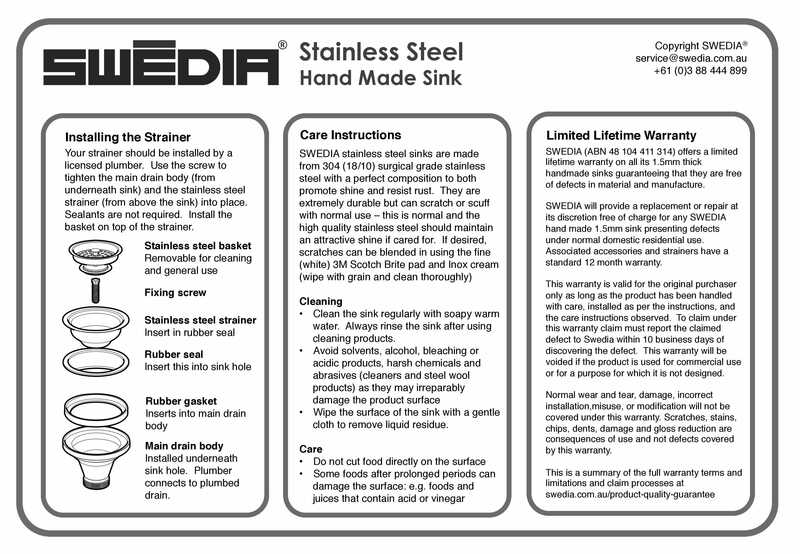 The Swedia® Kikki Chef Stainless Steel 60:40 Double Bowl Sink is a professional designer sink of the highest grade available. Its 1.5mm thick sanitary grade stainless steel (16 gauge) is great for durability, sound-proofness and temperature retention. Includes - Strainer(s) with removable sieve, mounting clips, chopping board, colander, soap dispenser and knife block. The SWEDIA® Kikki professional grade kitchen sink is a practical choice for busy kitchens. Its double bowl construction makes it easier to use it in two different purposes at once. Unlike any other sinks, this premium grade stainless steel sink is also equipped with a knife block and a liquid soap dispenser that minimises time spent walking around the kitchen. The Kikki also comes with a free chopping board and stainless steel colander. 304 grade stainless steel composition to ensure supreme quality. The benefits of 304 grade stainless steel include the ability to resist rust, corrosion, heat damage and chemical damage. 1.5mm Thickened and stainless steel to guarantee durability and strength. The thickness of a sink will also improve noise reduction and temperature retention. Hand fabricated by folding 1.5mm thick uniform stainless steel sheets and welding corners. This ensures a perfect square shape and uniform thickness - unlike machine pressed sinks where the metal is pressed, stretched and weakened. Ensured Easy Cleaning due to smooth and rounded 10mm radius corners. Smooth, rounded edges mean that your sink can be cleaned in one swift wipe. Large capacity bowls to enable dishes and baking trays of all sizes to soak. Sound Proofing pads to minimise noise and increase temperature retention. 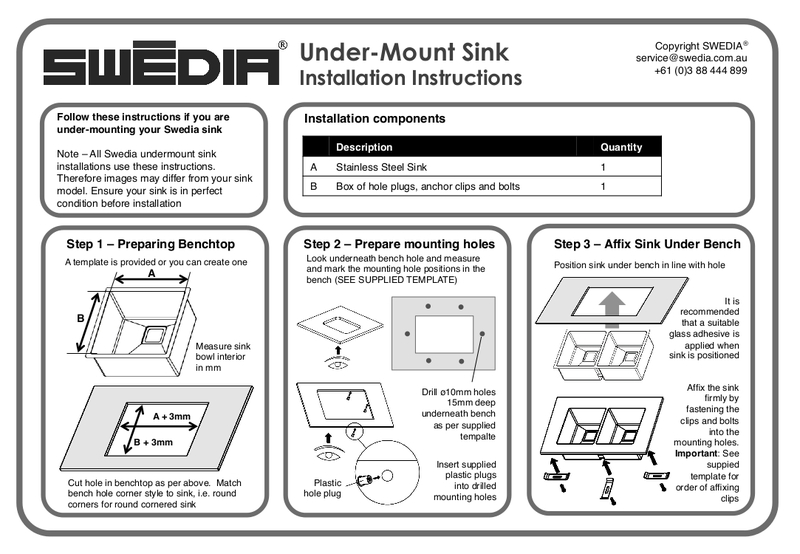 The application of 2 sound proof pads on the underside of the sink mean that less noise will be heard when bowls and cuterly clunk around within your sink. Anti-condensation coating. Minimises chance of condensation and build up of moisture on the underside of your sink that could otherwise lead to mould and moisture problems within you undersink cupboards. 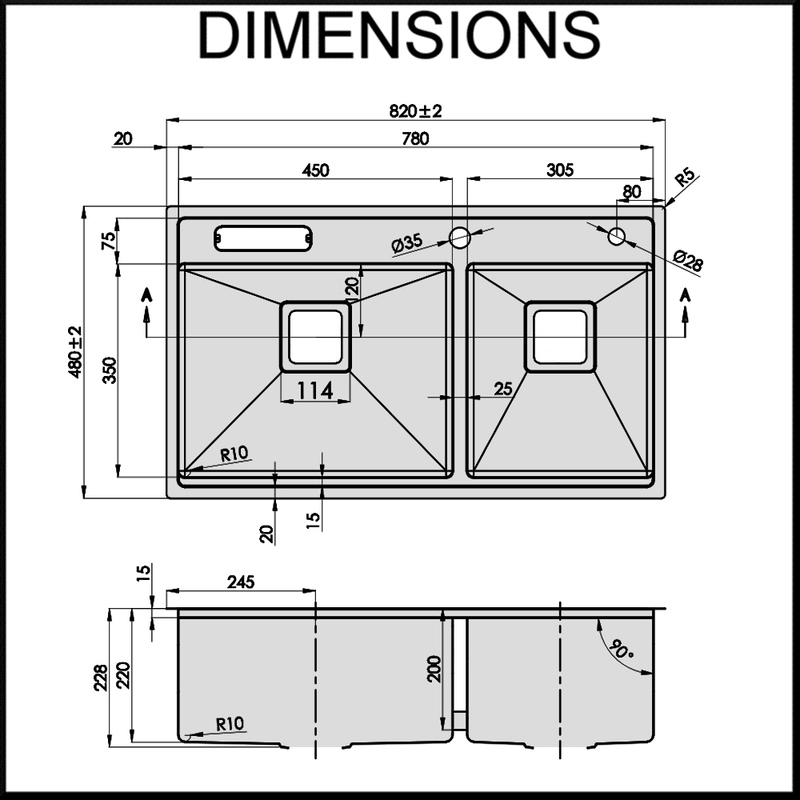 Undermount or Topmount with brackets included. Allowing for chopping board and colander to be integrated into the bench top. All included accessories. A modern, square strainer, integrated knife block, soap dispenser, chopping board and colander. 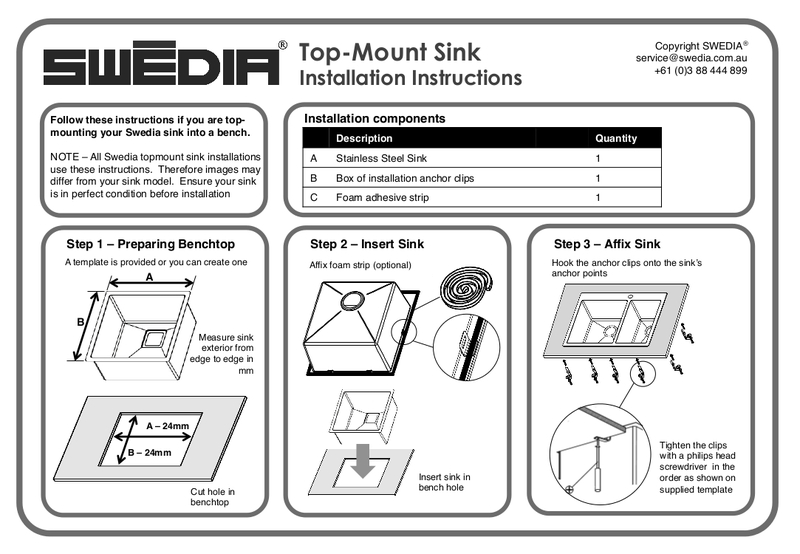 Extend The Life Of Your Sink With An Optional Bowl Protector. Durable 304 Grade Stainless Steel will easily hold heavy pots and pans and prevent scratches. A Hygienic Workspace for safely defrosting or washing foods. Non-Slip Rubber Feet lifts the bowl protector off the surface of the sink and ensures it stays firmly in place.